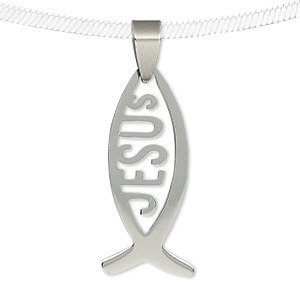 Pendant, stainless steel, 37x16mm single-sided matte and shiny Christian fish with "JESUS." Sold individually. 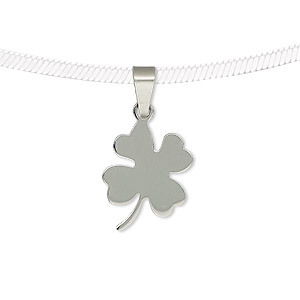 Item Number: H20-9425JD Have a question about this item? Stainless steel is a customer-favorite metal to use as a cost-efficient alternative for precious metal while still enjoying a highly polished metallic gleam. This duo matte and shiny Christian fish pendant resists rust, tarnish, oxidation and corrosion even in regions with high humidity. This shape is also referred to as an ichthys and has become a modern symbol of the Christian faith. 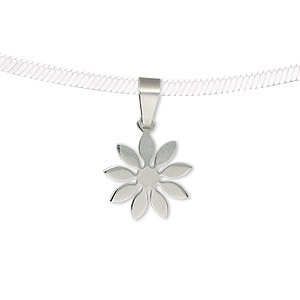 Pendant, stainless steel, 14x14mm matte and shiny two-sided flower. Sold individually. 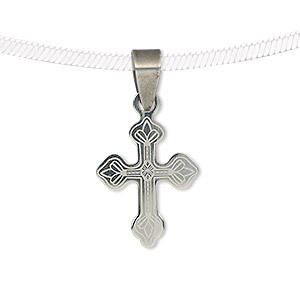 Pendant, stainless steel, 21x16mm single-sided matte and shiny etched cross. Sold individually. 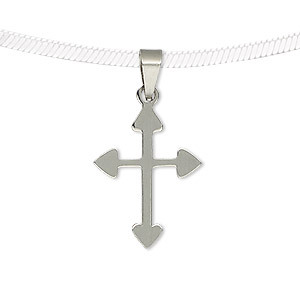 Pendant, stainless steel, 22x17mm two-sided matte and shiny cross. Sold individually. 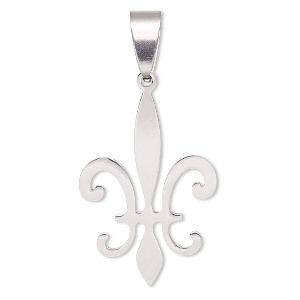 Pendant, stainless steel, 24.5x19mm two-sided matte and shiny fleur-de-lis. Sold individually. 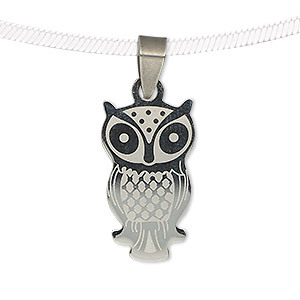 Pendant, stainless steel, 26x15mm two-sided matte and shiny etched owl. Sold individually. 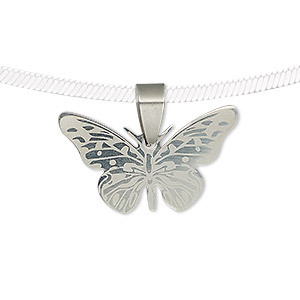 Pendant, stainless steel, 28x16.5mm single-sided matte and shiny etched butterfly. Sold individually. 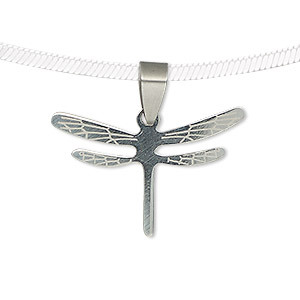 Pendant, stainless steel, 30.5x21mm two-sided matte and shiny etched dragonfly. Sold individually. 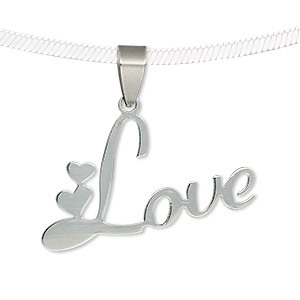 Pendant, stainless steel, 35x22mm two-sided matte and shiny "Love" with hearts. Sold individually. 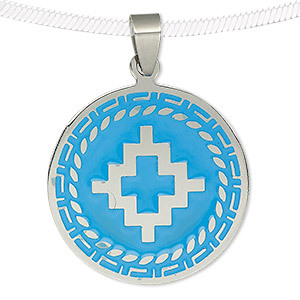 Pendant, enamel and stainless steel, turquoise blue, 32mm single-sided matte and shiny flat round with Southwest design. Sold individually.